Peter Kalivas, Ph.D.; Christopher Cowan, Ph.D.; Douglas Munoz, Ph.D.; and Mollie Marr (left to right) in front of the US Capitol building between meetings with congressmen as part of SfN’s Capitol Hill Day. The first several times I heard her say it, my stomach dropped. I was there as an Early Career Policy Ambassador and unlike the neuroscientists sitting around the table, I was a first year graduate student with one rotation completed and no idea what I would be studying over the next several years. I felt completely out of place and out of my depth. 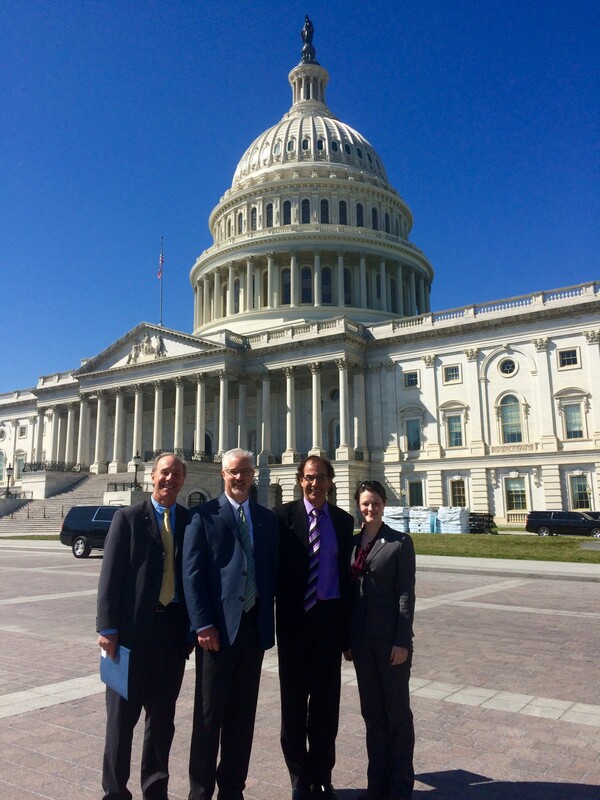 Who am I to sit here and advocate for NIH funding? 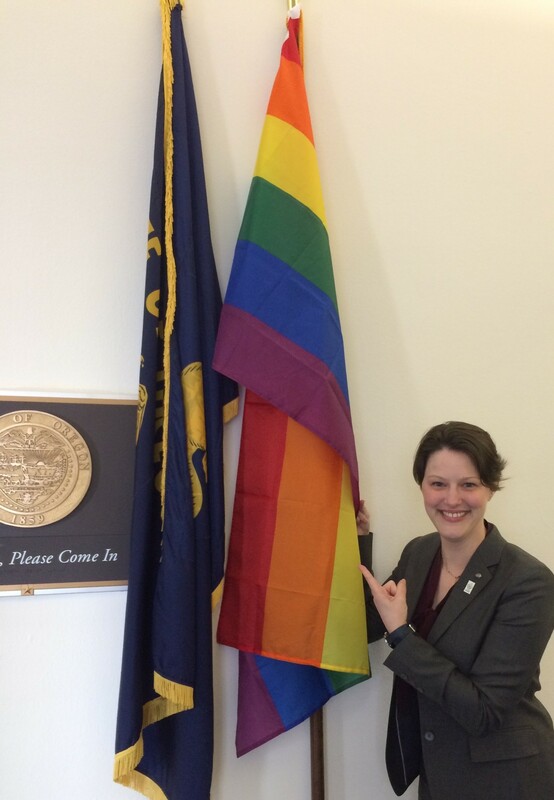 What have I done that could possibly qualify me to speak to members of Congress? After introductions, we went around the table discussing our research and the importance of NIH funding, not only as it related to new discoveries and disease; but also how it impacted local jobs and communities. I did not have concrete research projects to add to the discussion, but I realized I could discuss the role of the NIH in educating future scientists. 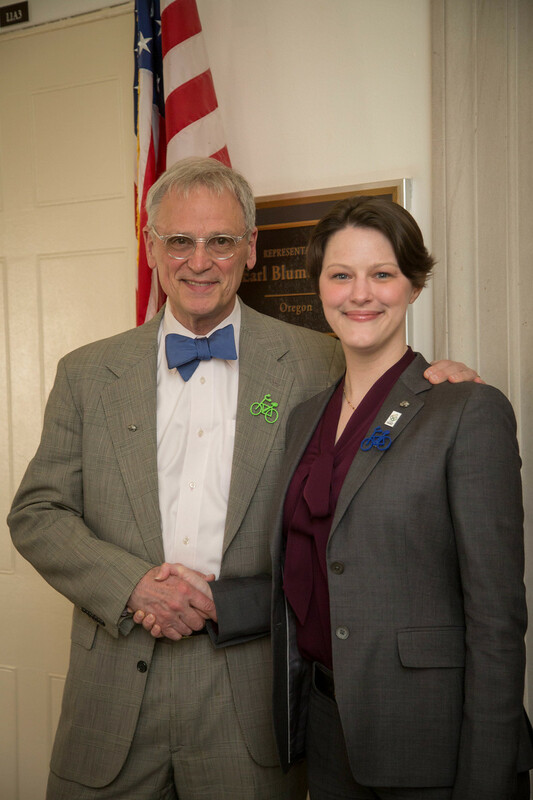 Mollie Marr discusses OHSU’s Medical Scientist Training Program with Representative Earl Blumenauer (D-OR 3rd District). I talked about Medical Scientist Training Programs (MSTP) like the one I am a part of at OHSU. As an MSTP student, I complete the pre-clinical years of medical school before beginning my PhD coursework. The advantage to this approach is that I enter my PhD program already thinking clinically, my brain primed to make connections between basic science and clinical medicine. When I eventually return to medical school, after completing my PhD, the opposite will be true—I will be thinking critically about the science underlying the diagnosis and treatment of disease. 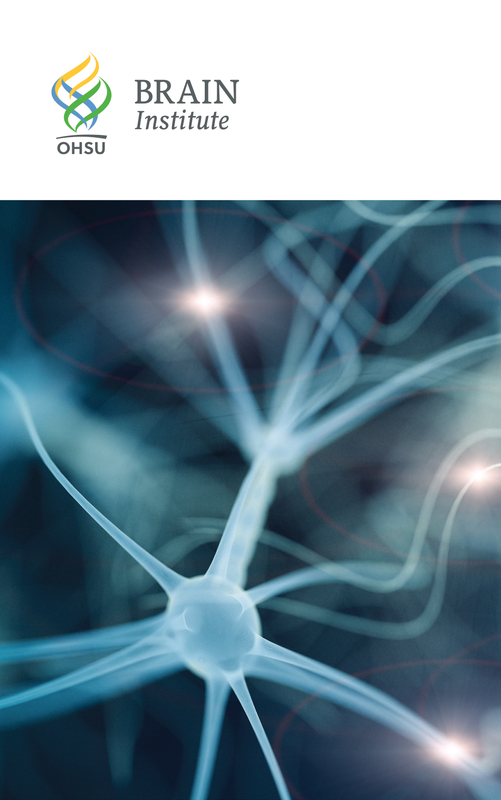 Ultimately, the goal of MSTP is to create physician-scientists capable of moving between clinical and laboratory settings; using observations and knowledge gained in each area to inform the discovery and delivery of care. While a loss of funding to these programs might not be felt immediately, the loss of a generation of scientists would have a profound and lasting impact. Science relies on mentorship and apprenticeship, the nurturing and development of future generations; to push the field forward, to build on existing knowledge, to ask deeper questions, and to explore growing complexity. Lost years of training cannot be recovered by an influx of renewed funding even a few years down the line and private industries are not rushing to support educational programs. U.S. 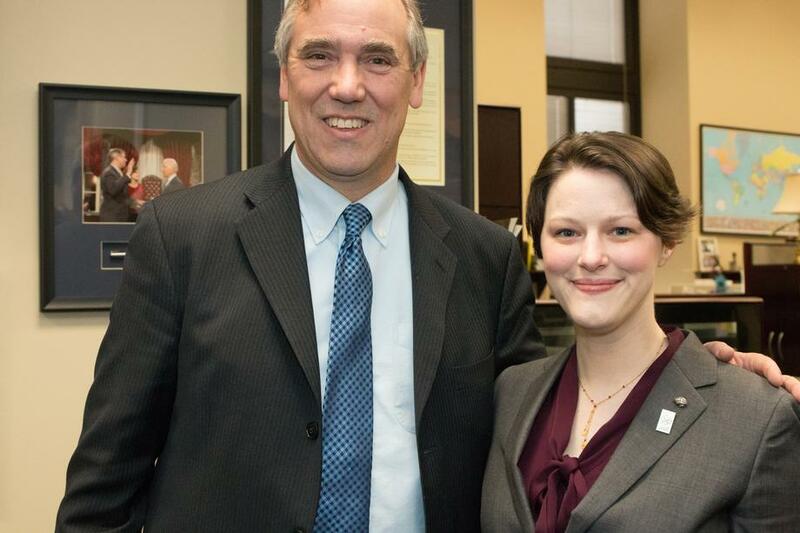 Senator Jeff Merkley (D-OR) and Mollie Marr in Senator Merkley’s office. As I discussed how NIH support impacted me directly as I student, I realized that I did have something to add to the conversation. I was, by far, the least accomplished person sitting at that table, but I was still able to contribute to the conversation. I share this because I think we often excuse ourselves from participation or advocacy because we do not feel like we possess the right qualifications or experiences. Instead, we defer to people who we believe know more or know better. I want to challenge that way of thinking. I want to encourage you to join the conversation and to take a seat at the table. 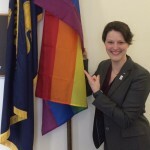 Participating in SfN’s Capitol Hill Day, I realized that in advocacy, what matters is not your qualifications, but your story—what you have to say. I had a unique perspective that I was able to share and so do you. It is not worth waiting for someone else to speak on your behalf. There is no reason for you to give away your power. Representative Earl Blumenauer (D-OR 3rd District) and Mollie Marr. Unfortunately, the fight to protect the future of science is far from over. The President’s Budget Proposal for FY18 calls for drastic cuts to both the NIH (21+%) and NSF (~11%) and I expect future budget proposals to reflect similar cuts. The good news is that many members of Congress recognize the importance of continuing to support science and education, and they are listening. We have an incredible opportunity as citizens and scientists to join the conversation. Take a few moments to share your story with your Senators and Representatives—tell them about your research, your experiences, your hopes for the future; tell them why science matters. Be specific, detailed, and personal. They need to hear your stories; because when they go to the floor to debate the budget, what sways the audience is not numbers and graphs; but personal stories by constituents who have been directly impacted by NIH-supported research. The only way they have those personal stories is if someone takes the time to share them. I know that there is a desire by the scientific community to stay out of politics, but I believe that the future of science, research, and education is a non-partisan issue. Within our community, we have generations of experiences, observations, and stories to share. So pull up a chair and join the conversation. Everyone is welcome (and needed) at the table. Read more about proposed cuts to NIH Funding that would devastate the scientific community. Join the SfN’s Advocacy Network in telling Congress to raise the budget sequestration caps and reject any cuts to lifesaving biomedical research. Remember to make it personal—say why it matters to you. Mollie Marr is an M.D./Ph.D. student at OHSU. She is currently a first year graduate student in the Department of Behavioral Neuroscience. What a great story- you inspire me!